It's official. CHRISTMAS HAS BEGUN! Not only have we made our Christmas pudding and brought all our Christmas decorations down from the loft (ahead of Christmas Tree Day WHICH IS TOMORROW! Eeeeeep! ), today the girls and I made our way to the Lyric Theatre in Hammersmith to meet up with Ruth from RocknRoller Baby (and her two gorgeous kiddies Florence and Jimmy!) to watch a super festive production of Raymond Briggs' Father Christmas. 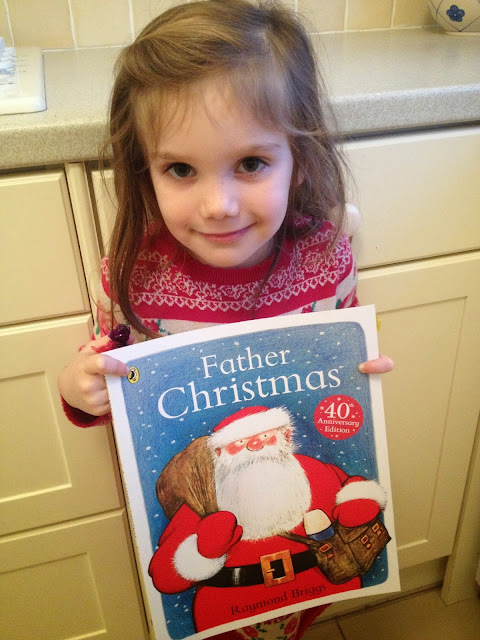 When I was a child, Raymond Briggs' Father Christmas was my absolute favourite Christmas book. I adored the illustrations and poured over them every single bedtime during December for about ten years! It would come out of hibernation with all the Christmas decorations at the beginning of December and then go back into the Christmas box on January 6th and it was always such a treat to see it after it had been packed away for eleven months! I bought Daisy a copy of the book earlier this month and I was so thrilled when she told me that she loved it too. We have had masses of fun making up stories and talking about the beautiful pictures over the past couple of weeks. When we were offered tickets for the press screening, I have to confess that I was a bit wary of going to watch a live production of one of my favourite books. Would it live up to my expectations? Would it ruin the story for me? Would the kids enjoy it? I honestly needn't have worried. It was just magical. 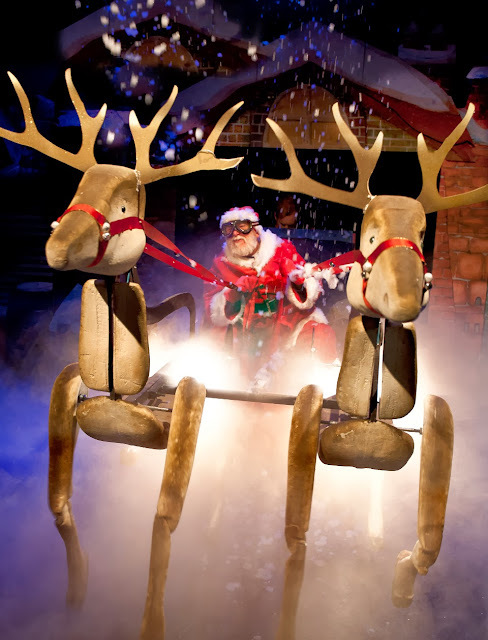 It was made up of a small cast of three; Barry McCarthy as Father Christmas, puppeteer Claire Harvey who took control of Cat, Dog and the reindeer, and musician Jared Ashe. The set and props were simple yet beautiful, the puppets were adorable (and unbelievably realistic!) and the music and sound effects were just brilliant! It was so lovely to see Raymond Briggs' Father Christmas come to life on the stage after forty years as a character in a book! We sat right in the very front row and Daisy and Evie both adored it. Yes, even 13 month old Evie - who is normally desperate to run around and grab and climb (and likes to make lots of noise) - sat perfectly still and completely mesmerised for the whole 50 minute performance. I asked Daisy what her favourite bits were and she said 'the reindeer flying, the cat and the dog, the fog and when Father Christmas did a poo'! It was moving, hilarious and FULL of Christmas magic. I actually welled up at the end; the cast and crew did Raymond Briggs proud. I whole heartedly recommend that you take your family to see the production - it was absolutely incredible. The show will be running until 4th January 2014, and tickets are available online here priced at £10 for adults and £8 for children. Messy play sessions are also available after some of the shows for an additional £4 per child. Daisy, Evie and I were given complimentary tickets for the purpose of this review. Yes I agree, such a great show and magical in the true sense of the word. Prices are also very reasonable even if you can't get complimentary tickets! Highly recommended. 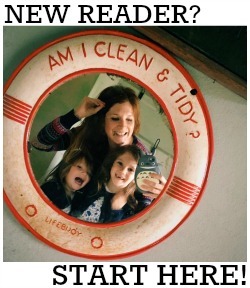 New Seraphine Store opens in Marylebone! Two Days ~ Two Birthdays!